It is difficult to imagine a place that lends itself better to technical diving than the coastline of Aqaba in Jordan. Aqaba lies at the northern end of the Gulf of Aqaba on the Red Sea. Its textbook topography means that divers can enter the water amongst stunning coral reefs which drop away quickly to shelves of expansive fan coral which, in turn, drop away to fantastic and unexplored depths –including several wrecks at 70m and 100m. 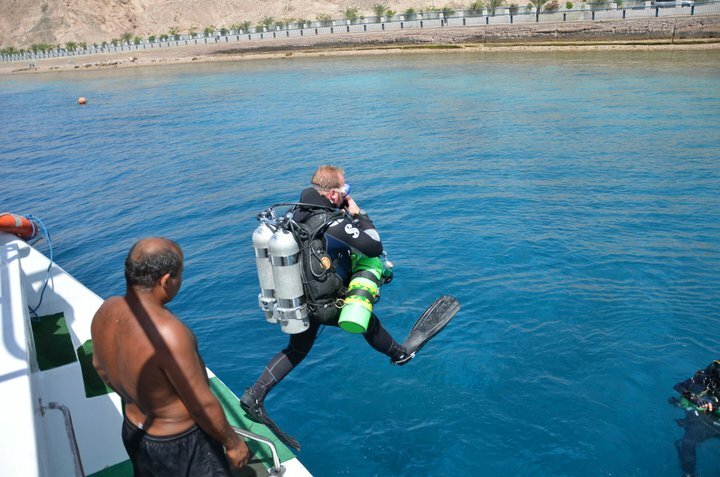 And yet, technical diving is still in its infancy in Aqaba. That’s something that my friends and I intend to change. On July 29, we will attempt to break the existing depth record of 144m in the Gulf of Aqaba by diving to 166.6m. I will dive to 166.6m and Duncan Baillie, a PADI Dive Master and my closest support diver, will dive to 145m. In doing so, we want to bring diving, and especially technical diving, to the forefront and highlight Aqaba as a world class diving destination. We plan to use a Vision Inspiration CCR and OC; our gas selection on CCR will be 6/75 diluent together with deep bail out, travel mixes and deco mixes if required. Bottom mix on OC will be 9/65 which will be used to a target depth of 145m on OC. This means we should achieve the deepest CCR and OC dives ever in Jordan. Jaime Burns of TV SCUBA will be documenting the event for us, and we’ve had great interest from dive magazines in Britain, Australia, and New Zealand as well as local and regional media. We hope that PADI and TECREC fans will get behind us and wish us luck! We’d love to hear from you and it would be great if any of you could join us in Aqaba that weekend because there’s heaps going on above and below the surface. Royal Jordanian do great deals to and from Jordan, and Sea Star Watersports (a five star IDC PADI center) in Aqaba have some new technical diving equipment which needs to be put through its paces! To show our commitment to the area’s ecology and to raise awareness of marine conservation, we’re supporting Project AWARE and the Jordanian Royal Ecological Diving Society by holding a reef clean up day; I’m going to be sponsored for every ten meters I dive. All funds raised will be split between the two organizations. Please keep track of our progress on Facebook: 166point6 Dive Team; Twitter: @166point6; and our website http://www.166point6.com/. And please get in touch if you have good ideas to share! 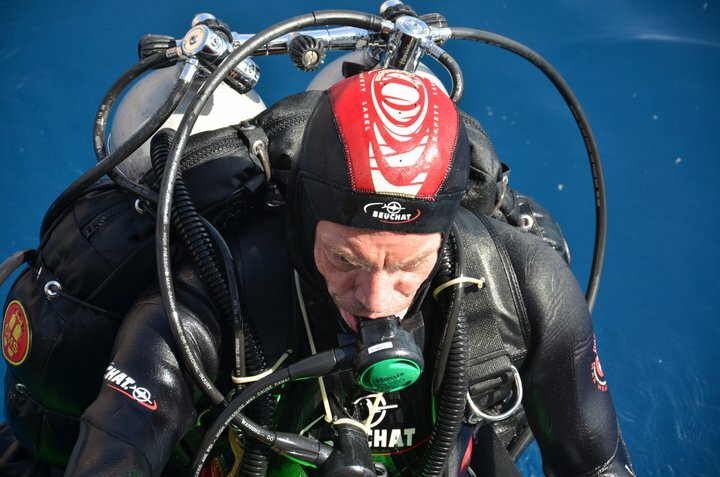 I am supporting this initiative as this will promote the technical diving we have to offer in Jordan and in particular highlight the use of CCR which since the beginning of the year our local Navy has banned the use of unless on these various projects. 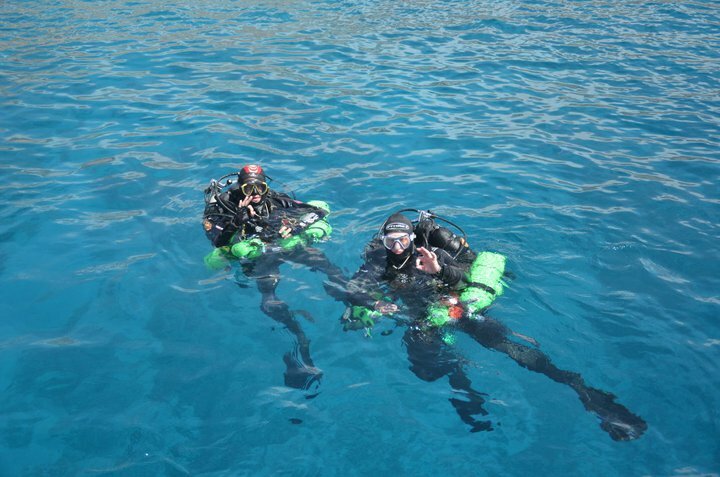 In the light of PADI bringing CCR program out this year we would like to increase awareness in this area by the authorities in Jordan as we have an ideal location for training here, particularly tec and CCR. Seastar Diving (TDI Centre) and Dive Aqaba (TecRec Centre) both currently offer technical diving and courses to instructor levels. Good luck and have a safe dive. Wish you much success promoting technical diving in Jordan and enjoying your dive! Unfortunately Rohan Cadzow had to leave for personal reasons so the Dive Aqaba Tec Team in conjunction with Seastar Watersports took over the training and the final dive. Myself and Mark Ellyatt successfully achieved the target depth 167m on Friday 29th July. Mark was luckily here to organise the event for everyone and make sure all the support team were trained up for their roles. Mark was brought out here by George Ionita (deep CCR support) who sponsored his trip…without which the whole thing would have been impossible. Duncan Bailey, Jake Link, Thaer Juqman were deep support divers on trimix and the rest of the team gave shallow and surface support as well as looking after the decompression trapeze. I will post the full story on another thread of the final dive.